- Finish available - Zinc Plated / Nickel Chrome Plated. 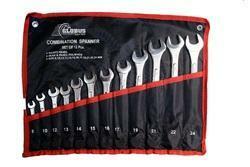 Description: The wrenches with 3/8″ drive for tight use with socket tools i.e. extension bar and ratchet handle. Application for Torque Wrenches. • Flat panel; flare nut drive; all drop forged from chrome vanadium steel conforms to American National Standard Institution (ANSI).• Flat panel; flare nut drive; all drop forged from chrome vanadium steel conforms to American National Standard Institution (ANSI). Flare Nut Interchangeable Head torque wrench is a single-direction ratchet for use on hydraulic fitting and pneumatic fitting. 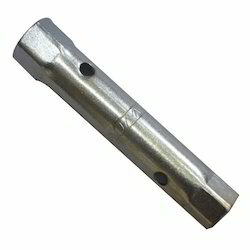 Flare nut wrench is also use for connection fittings on fuel, brake, and air conditioning lines. Will not mar fittings on pipes and tubing. Satin chrome textured finish provides great feel and extra gripping power. Recessed corners in ends provide extra turning power . Hot forged from Chrome vanadium Steel, hardened. Available in Zinc / Nickle Chrome / Black finish. We are ranked amongst the most trusted firms deeply engaged in offering a wide range of Flare Nut Wrench. - 1922S 5/16"x3/8"; 3/8"x7/16"; 7/16"x1/2"; 1/2"x9/16"; 5/8"x3/4"; 11/16"x3/4"; 3/4"x7/8"
We are considered in the industry to be one of the leading names of this impeccable assortment of Car Nut Wrenches at very affordable rates. Hand Tools & Precision Tools - Double Ended Wrenches.